This blog, the latest in a series written by inquest specialist, Ali Cloak, looks at the role of the Coroner, the necessary qualifications and how Coroners are appointed in England and Wales. A Coroner is an independent judicial office-holder appointed to investigate deaths that have been reported to them in certain circumstances. There are three types of Coroner: Senior Coroners; Assistant Coroners; and Area Coroners. The head of the coronial system is the Chief Coroner. This role is currently held by HHJ Peter Thornton QC, who commenced his appointment in September 2012. This was the first time someone held the role of Chief Coroner. The post was created by virtue of the Coroners and Justice Act 2009 (CJA 2009), which took several years to implement, and has brought about significant changes to the Inquest process. The Chief Coroner reports to the Lord Chancellor. He has the power to conduct inquests and take over inquests from other Coroners in addition to supervising the implementation of the provisions of the 2009 Act. Some of the key tasks of the Chief Coroner entail developing the role of Coroners and inquests, improving consistency between different coronial areas, improving the standard of training available to Coroners and issuing guidance on a wide range of issues. The Chief Coroner is also responsible for approving all future Coroner appointments, monitoring Coroner’s investigations which last for more than 12 months (and taking steps to reduce unnecessary delays) and collating the Coroners’ reports to authorities in order to prevent other deaths. 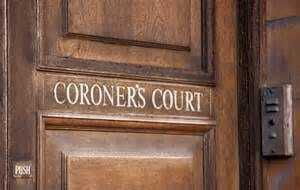 A Coroner must be a barrister or a solicitor having practiced for at least 5 years. Medical practitioners wishing to become Coroners will now have to fulfil the 5 year legal practice rule, though historically this was not the case. Under the new rules there is a greater emphasis on regular training and guidance for Coroners and it seems apparent that the Government had recognised that under the previous system existing Coroners may have been under qualified for the role they were fulfilling. All Coroners are appointed by the local authority in which the Coroner area lies and subject to the consent of the Lord Chancellor and the Chief Coroner. Whilst Coroners previously had to live in or near their district this is no longer a requirement under the CJA 2009, though they must be available at all times to address matters relating to an investigation or to a death which may need to be dealt with on an emergency basis. The CJA 2009 sought to improve the standard of Coroners and to ensure greater consistency throughout England and Wales. It is perhaps too early to see the full effect of the changes, not least as it will take several years for the new Coroner appointments to progress through the training before sitting as a Coroner full time. As a lawyer who has represented families in inquests in a number of different Coroners’ districts I have seen first hand how practice can vary wildly between areas. I strongly believe that the bereaved family of a loved one should be able to expect the same standard of inquiry irrespective of the particular Coroner who is hearing it or the district in which it falls. For this reason, I believe that the changes implemented by HHJ Chief Coroner, by virtue of CJA 2009, are a positive step towards this goal.